Many people assume that they are the hero of their own stories. What happens when you find out that you might not even be a supporting character? Or you come to discover that your character isn’t even in the credits, but that you're listed as “third from the left in crowd”? Of course, this is not true. You are the hero! But if the tables were turned, what would this other point of view look like? This was the starting point for "Wolves in the Woods”. Almost everyone knows the classic, cautionary tale from Aesop’s Fables of “The Boy Who Cried Wolf”. This timeless story's important lesson is imprinted on every child and gave birth to the expression “to cry wolf.” In the tale, the shepherd boy has a big laugh at everyone's expense until he and his flock meet their fate when a wolf appears in the end. But who is the hero here? Certainly not the troublemaking little shepherd. The wolf, however, was just doing what comes naturally. 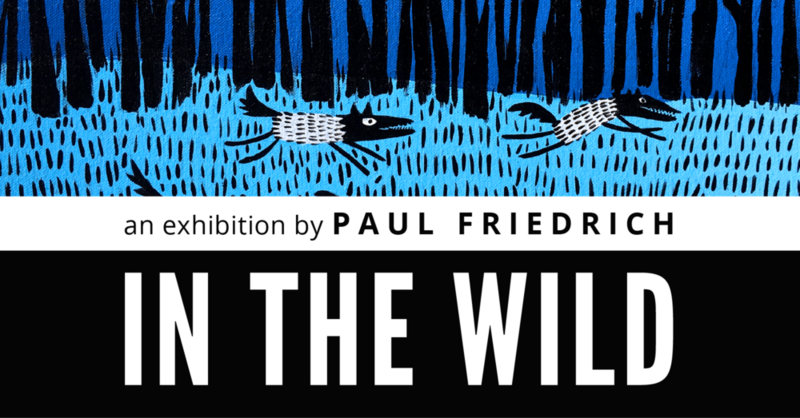 This exhibit of paintings is based on Paul Friedrich's book, The Wolf Who Cried Boy where the perspective is not that of the boy but of the wolf. The style of Paul’s work and limited palette of blue, black, and white is an examination of simplicity to tell a larger story. From cave paintings to cartoons, simple images can tell a broader story than a finely detailed image. The lack of details allows the viewer to invoke their experiences and include them as part of the story. 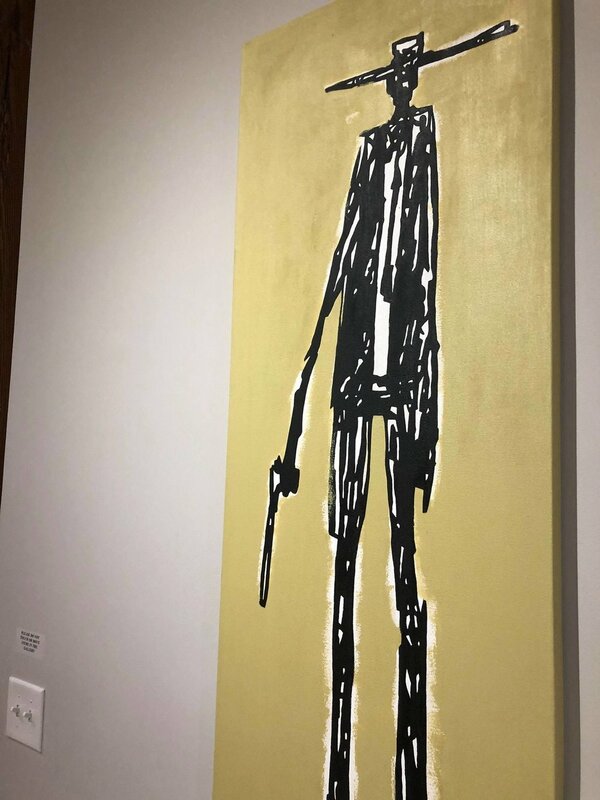 Known for paintings with masterful use of color, composition and humor, Paul Friedrich is in the forefront of the Low Pop movement of the Southeast. He is the co-founder of the SparkCon conference, the South's number one conference on creativity. Paul is the author and illustrator of several books including the Eisner Award-nominated graphic novel Onion Head Monster, Man v. Liver, Sleepwalking Batman in Plaid Pajamas, and The Wolf Who Cried Boy. He created Wake County's 86it.com anti-littering campaign mascot, Chuck. In 2009, Paul became the NHL's first-ever cartoonist with the launch of Stormy's CUP OF AWESOME comic strip and animation for the Carolina Hurricanes. Paul resides in Raleigh, NC.